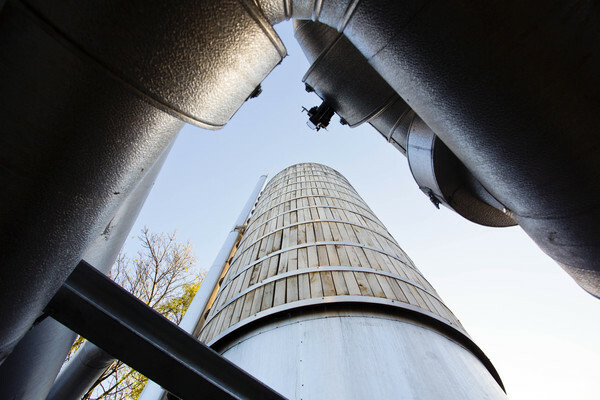 A ground-breaking district heating scheme located in the south of the borough, and part of Islington Council's wider strategy to reduce fuel poverty and produce financial and environmental benefits for the community. Bunhill Heat and Power is Islington Council’s ground-breaking scheme retrofitting district heating in an inner-city environment. Our first district-scale heat network, it serves over 800 homes, two leisure centres and four office blocks. The heat network and energy centre were completed in 2012 and provide cheaper, greener heat to residents. The energy centre houses a 1.9MWe gas CHP engine and a 115m³ thermal store. The network currently consists of 1km of trenching with 2km of insulated pipework. 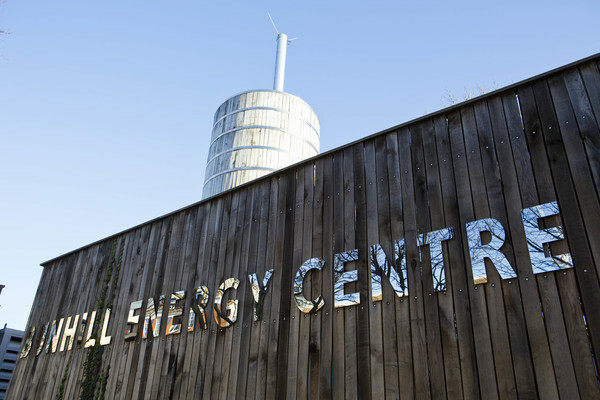 The £3.8m energy centre and heat network were funded by grants secured from the GLA and the Homes and Community Agency. An inner-city environment posed many challenges, including tight infrastructure, a lack of space and parking, and noise and air quality issues. The council undertook upfront work where possible to reduce the project risks and minimise uncertainties during the construction phase, including the design and application for planning and underground surveys. A Design & Build contract was commissioned alongside a 10-year maintenance contract to provide assurance to the contracts. Vital Energi built the energy centre and heat network in 2012. The council manages the heat network itself, earning revenue from electricity and heat sales, which enables savings to be passed onto residents via reduced heating and hot water bills. This approach also creates opportunities for Islington to further expand the heat network and develop other heat networks across the borough, and potentially across borough boundaries. The current network will grow both organically and strategically, and has been ‘future-proofed’ with a flexible design to enable its expansion. The factory-fabricated containerised equipment was delivered and installed in one day, reducing on-site construction work and local disruption. It provides flexibility, as all the equipment can be lifted out of the site and relocated elsewhere. The network has been installed with pipes sized to be larger than current needs so that they have additional capacity and can carry more heat as the network expands. Bunhill Heat and Power will help new developments meet their planning-related energy targets, and the council are currently working to extend the network to connect new-build developments. Work has started to extend the Bunhill Heat and Power network as part of the EU-funded CELSIUS project, which aims to help cities develop replicable projects to evolve into a truly energy-smart city. This will involve taking heat from the London Underground tunnels and converting it into hot water for the heat network, which will be expanded to serve another 500 council homes.